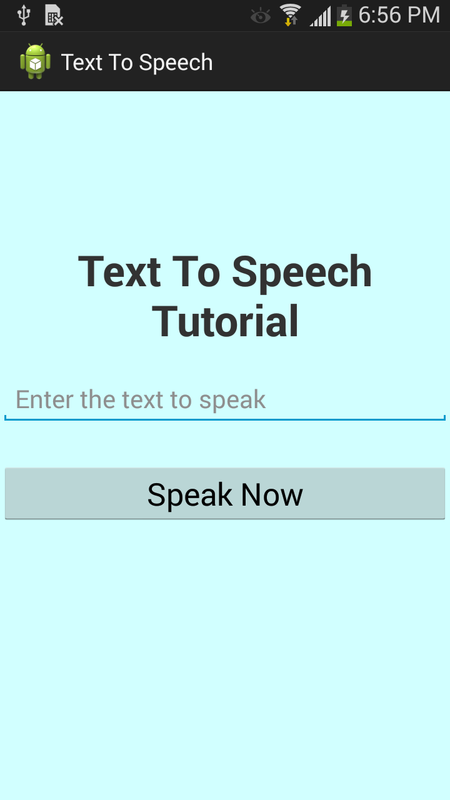 produce speech synthesis from within our applications, allowing the application to ‘‘talk’’ to your users. Before using the TTS engine, it’s good practice to confirm the language packs are installed or not, if not installed we must install the language pack. instance. 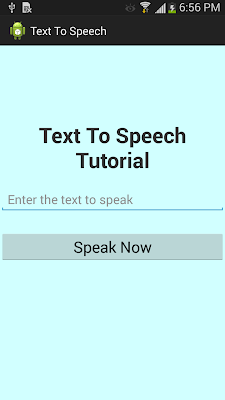 Note that you cannot use the new Text To Speech object until initialization is complete. In the example we have an EditText , in which user enters the text and when clicks on Button we c all speakTheText() method to speak the entered Text. android:hint="Enter the text to speak"
wow cool application.........thax for this one.......! can i Select more than one language usin Spinner contorl?